The Autocracy went back to the New York International Auto Show because we apparently didn’t get enough of the hundreds of new cars and trucks from the first weekend! Round 2 of the event brought us the DUB Show, showcasing customized vehicles ranging from a BMW i8 & Mercedes SLS to a Saleen S7 and an Acura NSX. Also on display was Ken Block’s Ford Fiesta, famous from his Gymkhana videos. Additional new vehicles included the Chevrolet Colorado ZR2, a Jurassic Park Mercedes-Benz Sprinter, the Land Rover Discovery Sport, and Ford’s much-anticipated GT & Mustang GT350R. Stay tuned for more updates this week on our Top 10 Favorite Cars from the show and a spotlight on electric vehicles! 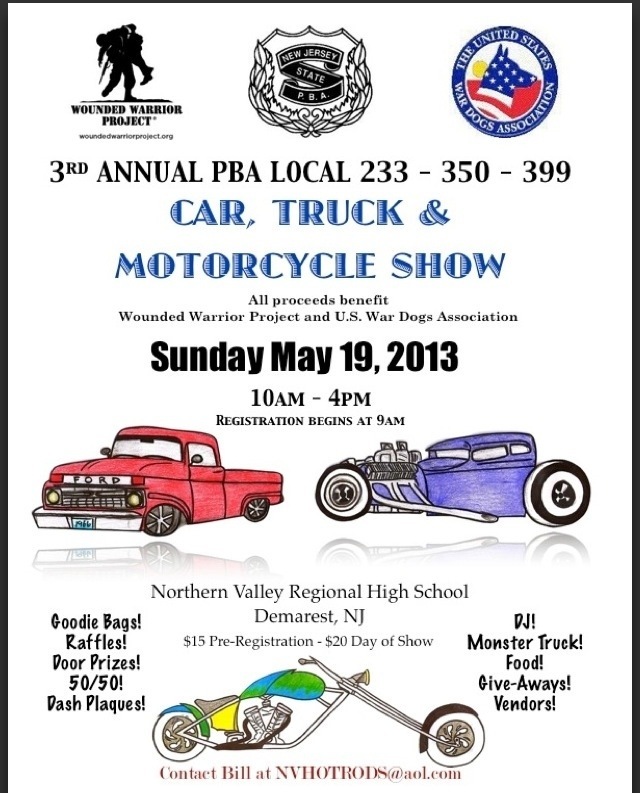 Come out to the Northern Valley High School in Demarest, NJ for the 3rd Annual PBA Car, Truck and Motorcycle Show. We’ll be there! Sore feet is an understatement. We spent UMPTEEN hours at the show last night and didn’t leave until 10PM and the show was still going strong. We might venture back this weekend to finish up what we may have missed, but the show was incredibly AWESOME, AMAZING and UNBELIEVABLE! So many new cars being debuted (some good, some not so good), an SRT Viper pretty much sideways on a ramp and a few Russian women signing some posters for Russian tuner Devolro. Here’s a picture of me and Dave, schmoozing with the upper echelon in the Rolls Royce booth. 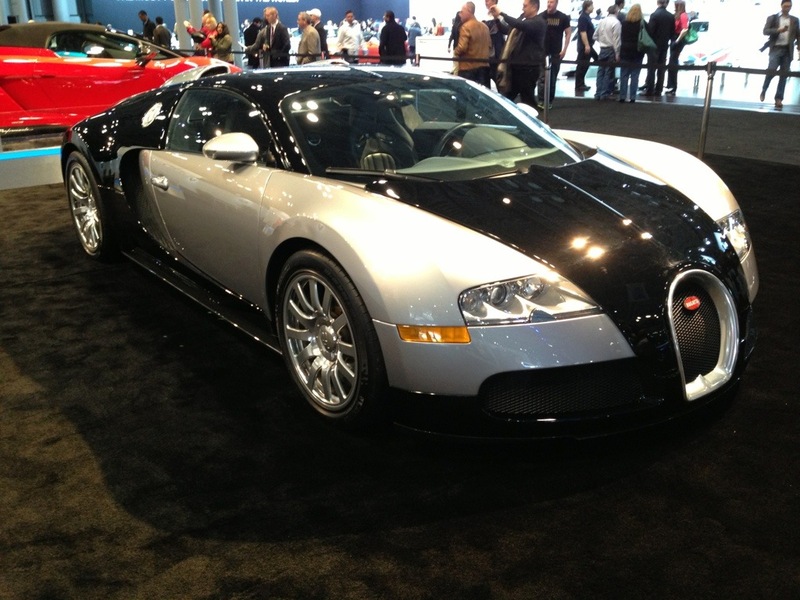 …oh and here’s a Bugatti Veyron. 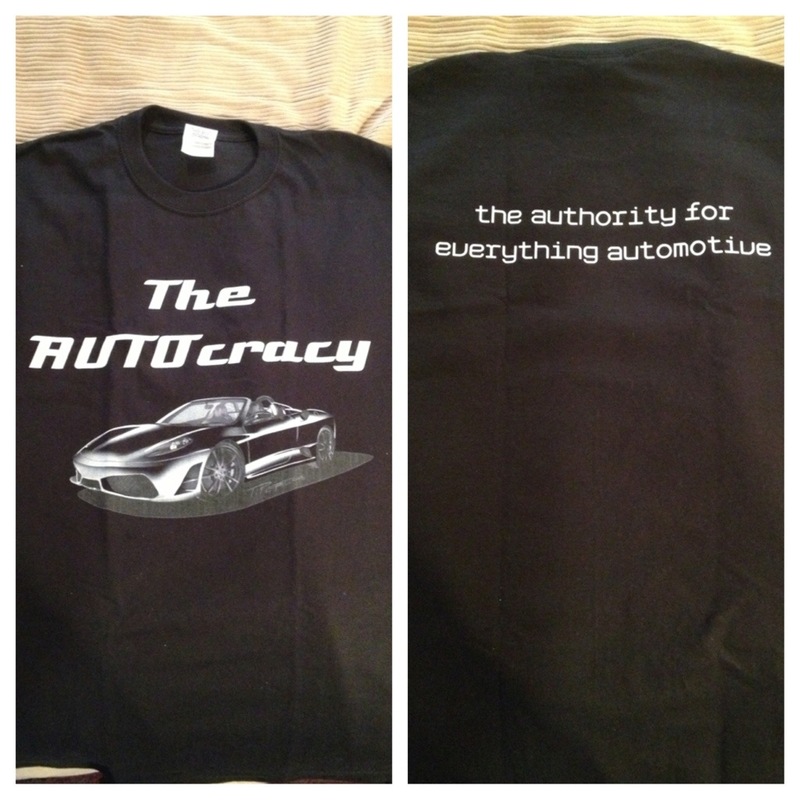 Be on the lookout for these shirts tonight at the NYIAS! If you see these shirts, you know it’s us! Come and say hi, we’ll be at the New York International Auto Show today from 5-10! Scion will be debuting the new 2014 tC at the New York International Auto Show on March 28. The last redesign for the tC came in 2011, so styling cues might appear from the FR-S. Scion’s current tC has a 2.5L 4-cylinder engine, producing 180hp and 173tq. 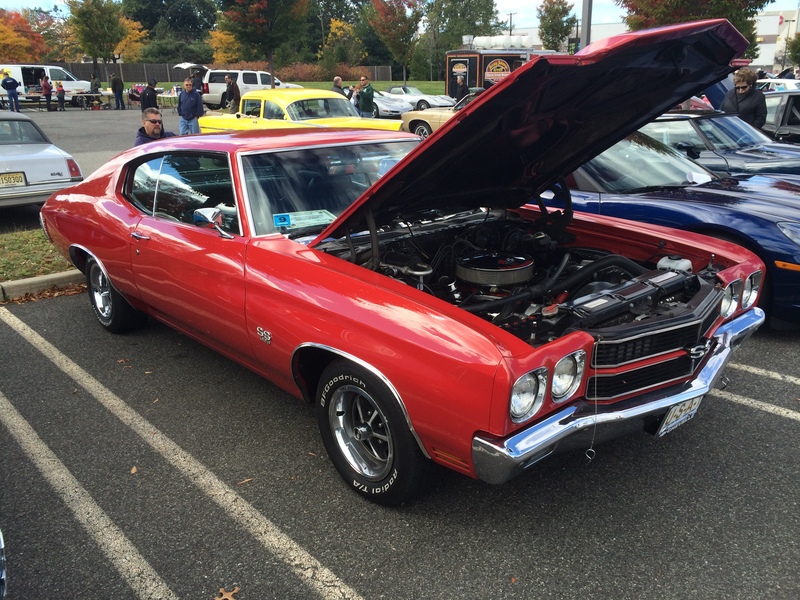 Available transmissions include an automatic or manual, both six-speeds. 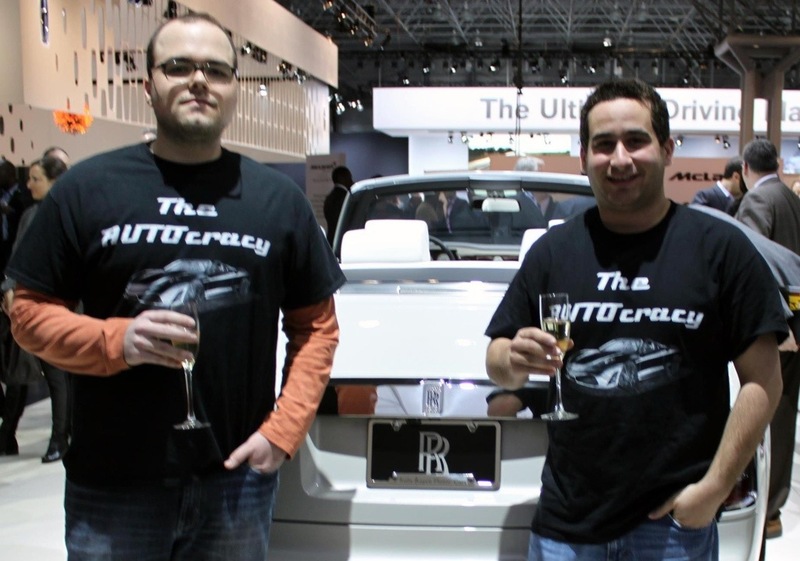 2013 New York International Auto Show – See you there! Are you getting ready for the 2013 New York International Auto Show?! With more than 50 cars making their first time debut, the 2013 NY Auto Show is something you don’t want to miss! We’ll be there before the public even gets a chance to so we’re going to show you everything! Photo and video from NYIAS.